A number of bills were debated at Tuesday’s Metro Council meeting as it extended well into the night. Here’s what you need to know. NASHVILLE, Tenn. (WTVF) — A number of bills were up for debate at Tuesday’s Metro Council meeting as it extended well into the night. Here’s what you need to know. 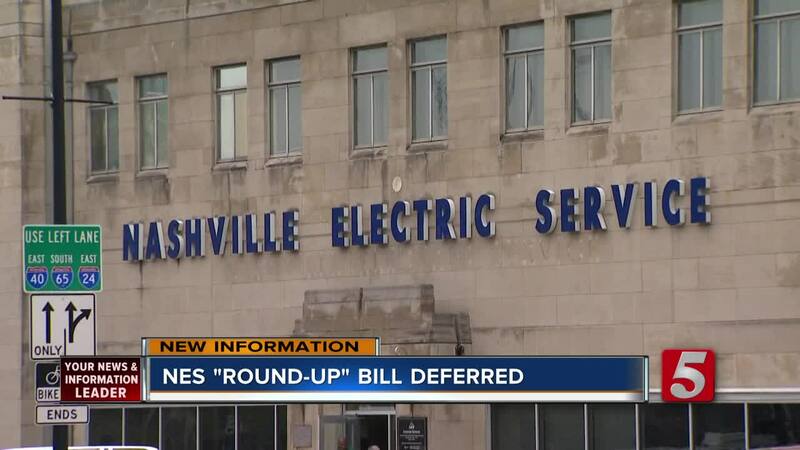 The council deferred a resolution that encourages Nashville Electric Service to consider looking into increasing customers' monthly bills to help low-income residents. The resolution is asking NES to consider rounding bills up to the nearest dollar by default. Davidson County customers could choose not to participate and opt out of the program. Meanwhile, two bills dealing with electric scooters were also up for debate and passed their first readings. One would require the devices to be docked, rather than just left on sidewalks. Another would help regulate the devices. An effort to make Nashville streets safer also passed on its first reading. The bill calls on Metro Public Works to look into possibly reducing speed limits in residential areas. It will still need to go through second and third readings before being approved. A resolution that would publicly censure former Mayor Megan Barry was withdrawn. There was also a unanimous decision to defer a resolution that calls on Metro School Board member Jill Speering to apologize to Director of Schools Dr. Shawn Joseph after making comments recently encouraging teachers who don't support him to come to the school board meeting wearing masks. A public hearing on a controversial development planned for Murphy Road has been deferred until March.